Clinic Synopsis: Artistry is an ideal that is often misunderstood, but it occupies the very heart of why education in the arts is essential. Artistry isn’t merely skill, nor is it simply creativity. It is the deliberate exercise of all one’s faculties (intellect, emotion, technique, intuition) in a concerted effort to bring into being something that wasn’t there before. For a musician, it is an honest, unpretentious effort to make music in a given moment. For young musicians, that moment might be a single note, by accident. For pros it is likely to stretch over a sustained period of time, on purpose. Of greatest importance is the realization that artistry is possible at every level – from beginner to expert. This session will identify the core concepts that support artistic thinking from day one, as well as practical techniques to inspire, identify, share, practice, and build upon artistry within an ensemble at any stage of development. 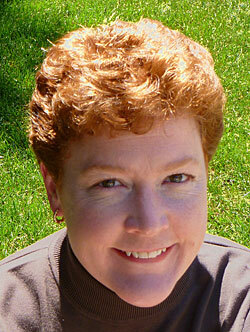 Clinician Biographical Information Carolyn A. Barber is an associate professor at the University of Nebraska – Lincoln. As director of bands, she guides all aspects of the program, including the master's and doctoral degrees in Wind Conducting. She earned both her Bachelor and Doctor of Music degrees from Northwestern University as a student of John Paynter, and her master's from Yale University. Dr. Barber has received numerous awards for musical and academic achievement, including the Hixson-Lied College of Fine and Performing Arts Distinguished Teaching Award, and two National Band Association Citations of Excellence. Her writing has been published in the Journal of Band Research, and she is a regular contributor to the Teaching Music Through Performance in Band reference series.